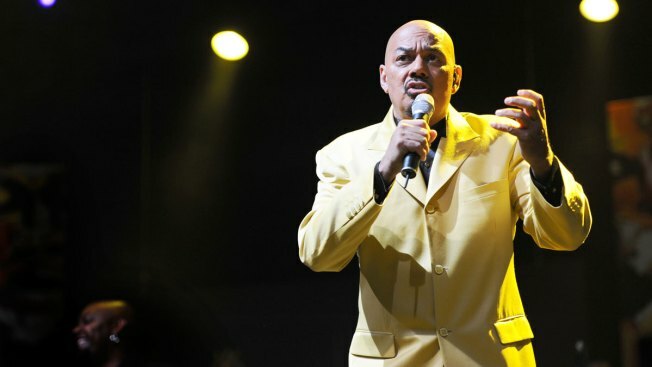 James Ingram performs during the 13th Cape Town International Jazz Festival on March 30, 2012 in Cape Town, South Africa at Cape Town International Convention Centre. Grammy-winning R&B singer James Ingram has died at age 66, according to multiple media reports. The news was first reported by Tuesday by Ingram's longtime friend and creative partner Debbie Allen on social media. "I have lost my dearest friend and creative partner James Ingram to the Celestial Choir," Allen wrote. "He will always be cherished, loved and remembered for his genius, his love of family and his humanity. I am blessed to have been so close. We will forever speak his name." The exact details of when or how Ingram died are unknown. According to Billboard.com Ingram won two Grammy awards during his career: His song "One Hundred Ways" won best male R&B performance in 1981 and his duet with Michael McDonald on "Yah Mo B There" won best R&B performance by a duo or group with vocals in 1984. Ingram was also nominated for back-to-back best original song Oscars in 1993 and 1994, for co-writing "The Day I Fall in Love" from Beethoven's 2nd and "Look What Love Has Done" from Junior. If you grew up in the '80s, you grew up on James Ingram. As news of Ingram's death spread other celebrities took to social media to pay tribute to the Grammy winner.